All purchases made between the 26th of October and the 31st of December can be returned till the 31st of January 2019. 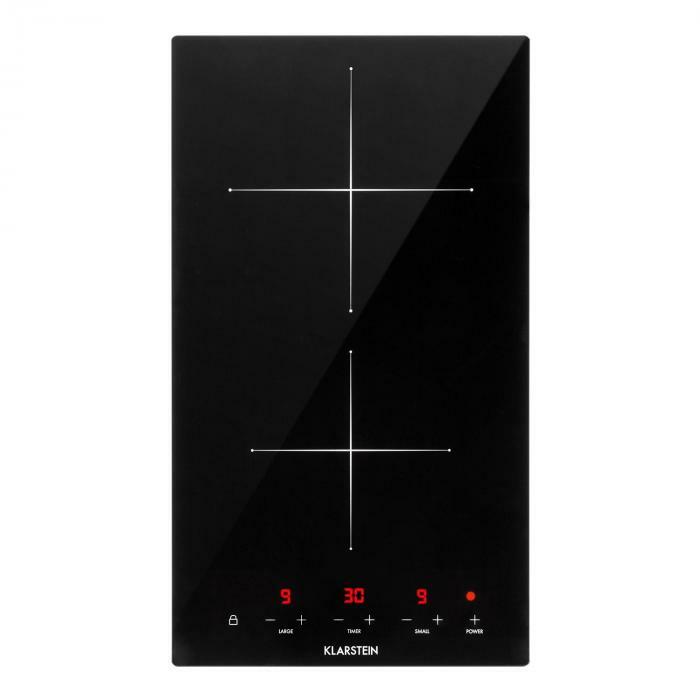 A cold kitchen was yesterday's news because with the Klarstein VariCook Domino induction double cooker, the smallest kitchens can be used for hot delights. 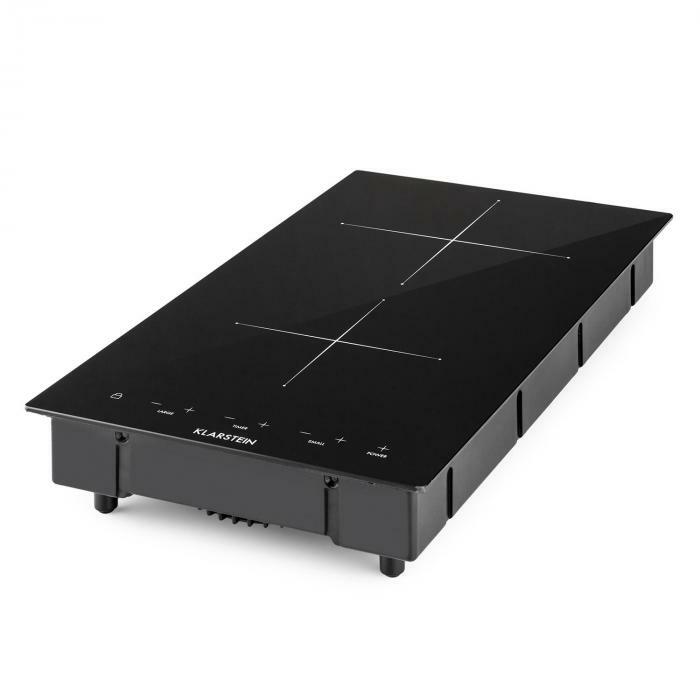 Two induction cooking surfaces for pots and pans with base diameters of 12 to 22 cm is provided by the Klarstein VariCook Variocook Domino induction hob, which heat up the cooking plates with a total of 3100 W power. 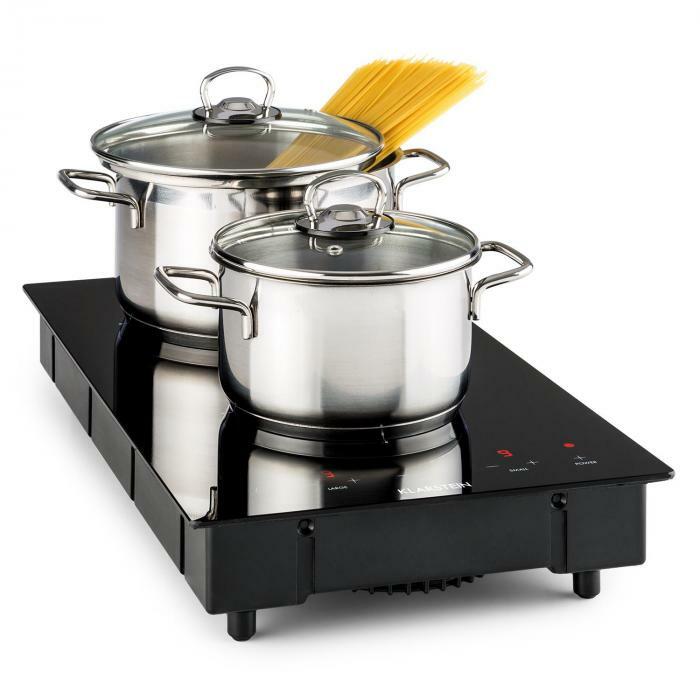 The small plate can be operated with up to 1300 W and the large cooking plate with up to 1800 W power, which can be controlled separately in 9 temperature stages. The glass ceramic cooker is operated via a built-in touch-sensitive sensor and LED display. In addition to the temperature, it is also possible to program a timer in minute increments, which switches off the cooking plate after the set time has elapsed. A key lock ensures that no settings are accidentally changed after programming. Tempering for safety - an overheat protection becomes active when a cooking hob becomes too hot. 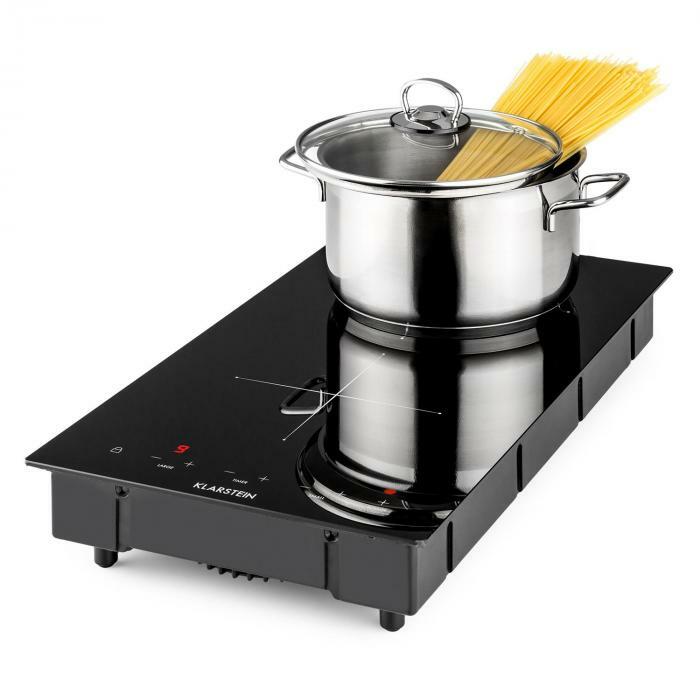 The induction plate of the Klarstein VariCook Domino brings steamy cooking to the kitchens of singles, students and small families or within summer and garden houses. Please consult the manual for further information about the proper cookware. Your order will be delivered to the selected address per order. This address does not have to match the billing address. You can send the orders to your family, friends or office if you are not at home during the day.Your order is delivered by our specialist courier spedition to your chosen address. This address does not have to correspond with your billing address. Leave a telephone number with your order to guarantee the best possible delivery of the product. Delivery takes place free to kerbside.This item may be pre-ordered. Please note that, in this case, the delivery time may be up to 5 days. Unsubscribe at any time. * Subscribe to the Klarstein Newsletter and receive £10 discount from £100 purchase value! Copyright © 2019 Klarstein. All rights reserved.